George was born in Chelmorten, nr. Buxton, in April 1892 (baptised at St James' Church, Harpur Hill, Buxton, on 24 April). He was the son of William (Limestone Quarryman) and Mary Catherine (née Windle) Robinson. In 1901 (Census RG 13/3263) the family were living at 'Cottage', Chelmorten, Buxton. George had three older sisters, Zelinda, Mary C. and Mabel, and a younger sister, Alice. George enlisted into The Middlesex Regiment at Buxton. His Medal Index Card shows that he was posted to France on the 16th March 1915. 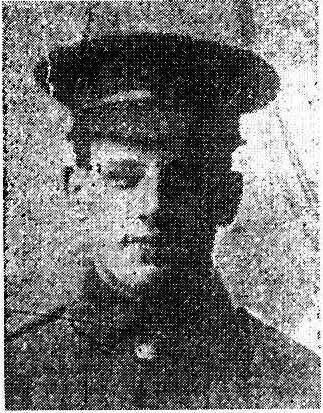 'The Buxton Advertiser', 2nd June 1915, reported that he enlisted "…in December last." [i.e. December 1914]. Unfortunately, his Service Papers, like so many others, were lost in September 1940, when a German bombing raid struck the War Office repository. The 3rd Battalion, Middlesex Regiment, was formed in August 1914 in Cawnpore, India, and returned to England in December 1914, which seems to be when George enlisted. 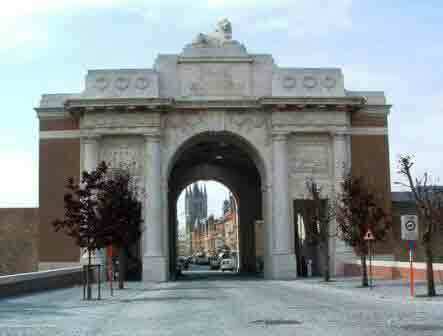 The Battalion moved to Winchester and was attached to the 85th Brigade in the 28th Division. They originally embarked at Southampton and landed at Le Havre on the 19th January 1915 before moving to concentrate in the area between Bailleul and Hazebrouck, so George must have been posted to join his Battalion after training. George was first in action during The Second Battle of Ypres, 22nd April - 25th May 1915, and in particular The Battle of St Julien, 24th April - 4th May, during which he was killed in action. After the French line was broken at Ypres on the 22nd April, following a German gas attack, two Companies of George's Battalion, 'A' and 'C', were ordered forward to fill the breach. At 6.20 a.m. the following morning and reinforced by Canadians, the 3rd Middlesex advance on the German positions and entrenched by 9.00 a.m. 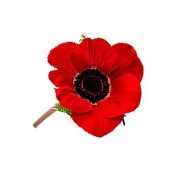 They came under heavy rifle and shell fire, as well as a further gas attack. Another advance was ordered in the afternoon over open countryside and into five enemy machine gun posts. Between the 22nd and 25th April 1915 the 3rd Battalion lost 38 men killed and many more wounded, so much so that A' and 'C' Companies had virtually ceased to exist. 1. The 5th Corps will shorten its line to right - 25th Division will hold the section N. & S. of FREZENBERG, holding the newly entrenched line with the Battalions of the 83rd and 84th Brigades now in reserve. Units will be met by their billeting parties now west of YPRES and guided to the billets now being allotted to Quartermasters by the Staff Captain." During The Battle of St Julien the 3rd Battalion had 59 Officers and men killed in action, mostly, 29, like George, on the 2nd May. 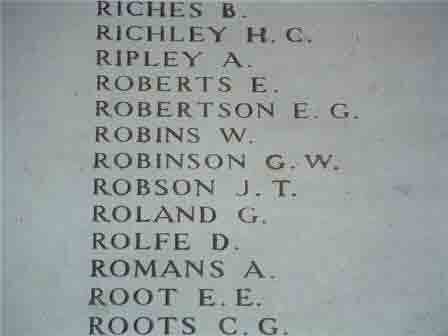 All but one has no known grave and are commemorated, with him on the Ypres Menin Gate Memorial. · Originally Ravenstor House was a private house built in 1907 for the owner of Litton Mill, Matthew Dickie. It is now Ravenstor Youth Hostel.